Delaying Decision On Women's Ski Jumping, Olympics Keeps Gender Barrier : The Two-Way Despite early signals to the contrary, the International Olympic Committee has decided not to decide to break the last gender barrier at the Olympics. Female athletes have been trying to get ski jumping on the Olympic schedule for a decade. The International Olympic Committee says it won't decide until next year whether to add women's ski jumping competition to the Sochi Winter Olympics in 2014. Ski jumping is the last Olympic event, winter or summer, that is still closed to women. Gilbert Felli, the IOC's executive director of the Olympic Games, says officials want to measure the progress of ski jumping competition for women during the sport's next world championships in Norway in February. Felli was not specific, however, when asked to detail the criteria that will be used to determine whether women are ready to jump in the Olympics. He said the decision will be "subjective," and he noted that the IOC Executive Board has given IOC President Jacques Rogge the unilateral authority to make that decision. IOC spokesman Mark Adams says Olympic officials are "looking favorably" at the inclusion of women's ski jumping. The postponement, which maintains the last gender barrier at the Olympics, came despite recent hints from IOC officials that its executive board would add women's ski jumping to the Olympics. The board is holding meetings this week in Acapulco. "I'm not surprised," says Lindsey Van, an American and the reigning world champion in the sport. "But they didn’t say 'no,' so I still have hope." Before the Vancouver Olympics, Van held the distance record for both women and men at one of the two hills used for the Games. Women have been trying to get ski jumping on the Olympic schedule for a decade. A dozen ski jumpers went to court in Canada last year in an attempt to force Vancouver Olympic organizers to put the women's event in the schedule for the 2010 Games. A Canadian court ruled that the IOC's failure to include the event for women was, in fact, discrimination. But the court also ruled it had no authority to force a foreign entity, the IOC, to comply with Canadian anti-discrimination law. The IOC has resisted a women's ski jumping competition, contending the sport needed more elite athletes and world-class events. 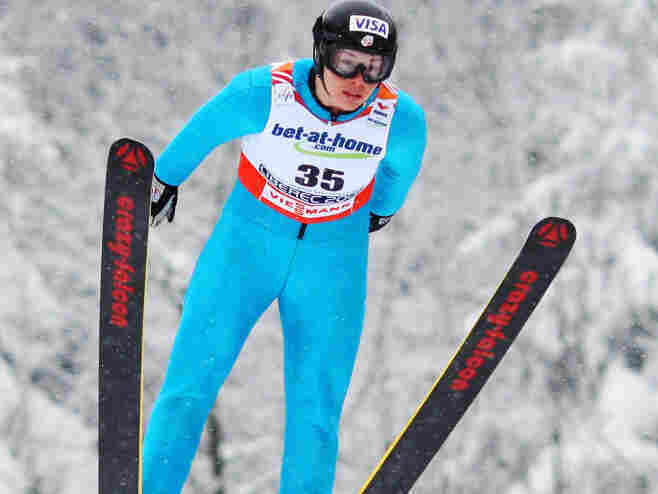 But the ski jumpers have pointed out that other sports recently added to the Olympic schedule had fewer athletes competing worldwide. A number of other events are also candidates for inclusion in the 2014 Winter Games. Final decisions on most of those events were also put off until after the next world championships for each sport.